Bedroom decors have always been a topic of great interest among the home lovers, there is a trend to make your master bedroom fanciful and noteworthy! While thinking about the master bedroom decor, we just can forget about a headboard piece which not only decorates a bed frame itself but also provide countless possibilities to embellish your bedroom further with help of it! 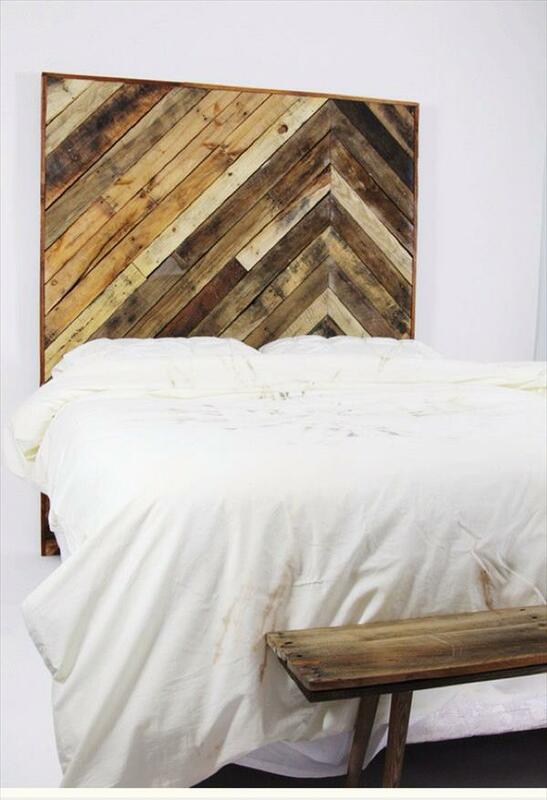 Need a splendid style of headboard on cheapest ever rates? 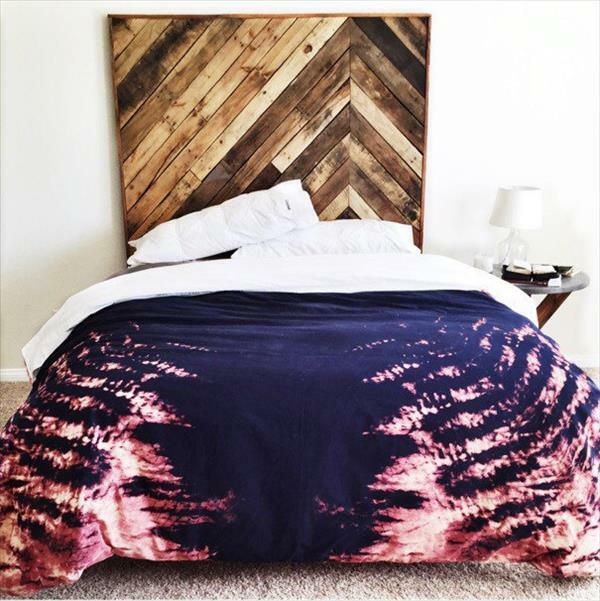 Then get this DIY pallet chevron headboard made of highly quality wood got from pallets! Total cost price of it is just equal to nothing but the stability is guaranteed! 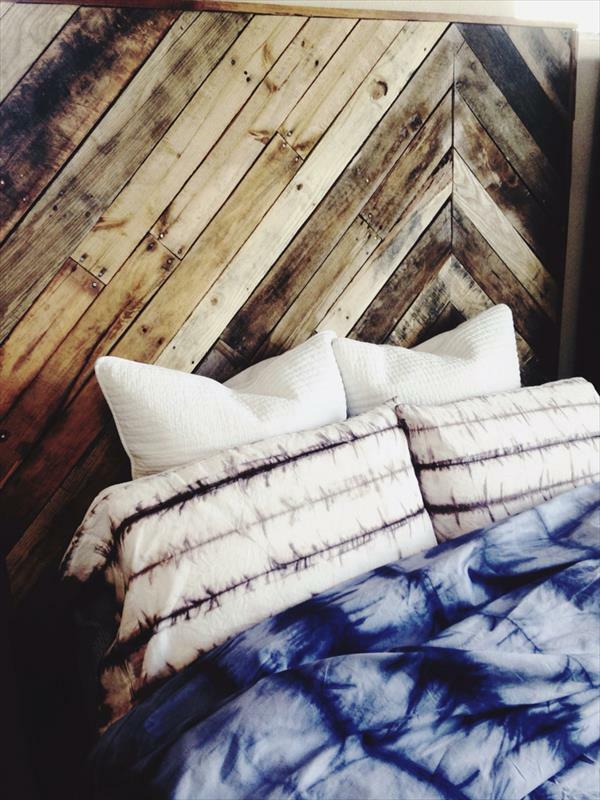 Tear the pallets apart into individual pieces then rejoin in chevron style to build a rectangular shape! 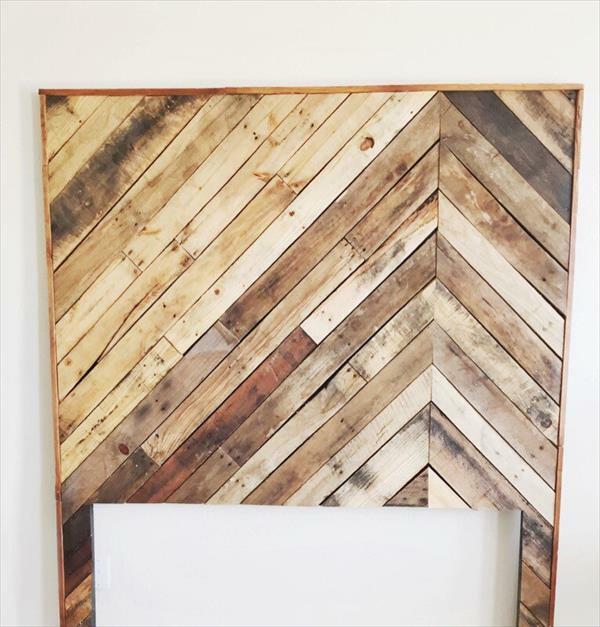 Finally finished chevron wooden rectangle would be your headboard, just fit it your bed’s head and create beautiful rustic statements of bedroom decor! You can paint it or make it stained to vary it hue or only the wood tone respectively!